Bharat Sanchar Nigam Limited (BSNL) has introduced a couple of prepaid plans, priced at Rs 199 and Rs 499. The new plans ship with daily data benefit, unlimited voice calling and free Cricket SMS Alerts about the current ongoing Cricket match. The Rs 199 prepaid plan comes with a validity of 28 days while the Rs 499 plan offers benefits for 90 days. Sadly, they both ship with just 1GB data per day which is underwhelming since BSNL is touting them as plans aimed at Cricket lovers and 1GB data benefit will not be enough for the users who stream Cricket matches on their mobile phone. Also, it’s unknown whether these plans fall under the BSNL Extra Data offer which adds 2.2GB daily data to your existing plan’s data benefit. 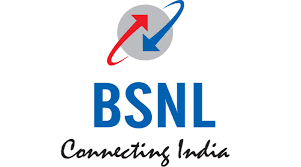 Both the plans are effective across all the 20 telecom circles starting today where BSNL is providing operations.